The lads from Friendly Fires. Their music is much more fun than this photo. When they are playing: 2:15 pm on Saturday at the Bud Light Stage. 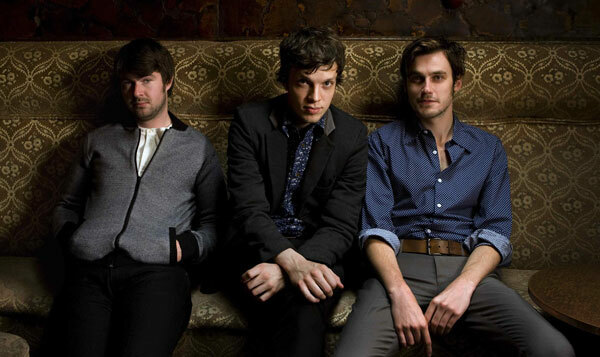 Their music radiates fun: Friendly Fires make dance music. No, not the kind of generic pop music you’d hear every weekend at the Alumni club in Schaumburg (which is really good for grinding on Motorola interns), nor is it techno, house, or anything going on at Perry’s DJ tent or industry night at Excalibur. Friendly Fires’ dance music is upbeat but not aggressive, usually consisting of synthesizer riffs, tribal drum beats, periodic bass lines, some timely doses of cowbell, and the melodic voice of lead singer Ed Macfarlane. It’s probably what Vampire Weekend would sound like if they only made dance music and their Ivy League brains didn’t overthink every lyric they wrote. Friendly Fires consists of three lads from England whose music will inspire concert goers to jump around constantly and aimlessly, but in a good way. If you accidentally jump into another dude, he won’t give you the “step off bro” stare. 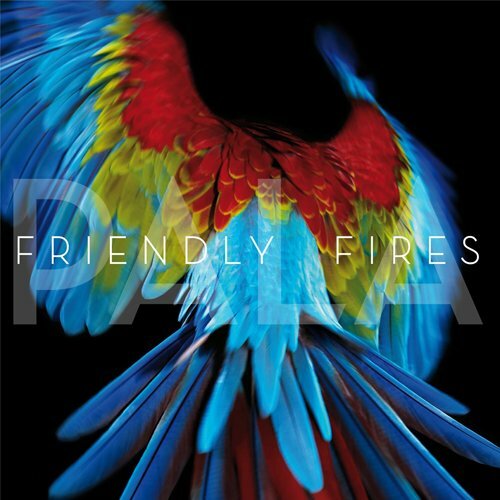 The album cover for Friendly Fires newest album, Pala, which came out this past May. They have enough good singles to fill up an afternoon set: We suspect these songs will get played in some sort of order: “Jump in the Pool”, “Hawaiian Air”, “Skeleton Boy”, “Blue Cassette”, “Paris”, and “Live Those Days Tonight,” which sounds like a prom slogan. But seeing as how this group advocates having a good time at nearly every turn, we won’t hold it against them when their titles come off as a bit cheesy. You’ll hear more cowbell then guitar: There is footage of Friendly Fires using a guitar, but if you just listen to their music, you might be tempted to think they do not employ a guitarist. On many of their songs, the guitar is non-existent. And even when its present, heavy guitar riffs are not an essential part of the group’s sound. This is not a criticism of Friendly Fires, as we think they do quite a nice job making dance music. But there are certain people who don’t like music that strays too far from core elements of rock n’ roll. Guitar riffs of some sort are usually one of those core elements, and Friendly Fires is not going to give fans of traditional rock a reason to listen. We don’t think all dance music is the same, but some people do, and they’ll probably lump Friendly Fires into the catchall “dance music” category. The people who do this might want to find another band to listen to. Who we recommend seeing at 2:15 pm on Saturday during Lollapalooza: As we wrote in our Skylar Grey preview, we’d probably opt for Fitz and the Tantrums. We’re starting to reconsider — Friendly Fires seem like a really good time — but for consistency, we’ll stick with Fitz.